Are the key stage 2 Sats educationally or politically motivated? I am interested in this because of my background as a secondary maths teacher now volunteering in my local primary school. There are three things to consider here. The first is whether secondary schools need the information the Sats supposedly provide and the second is whether the information provided is accurate. The third thing to consider is why we have Sats – basically, are they educationally or politically motivated? The first point is, I feel, answered quite easily. Even in maths, teaching in mixed-ability groups seems to be back in fashion, perhaps thanks to overseas methods being encouraged presently. Therefore, the simple answer is to expect schools to teach subjects in mixed-ability groups in Year 7 so that they can make their own decisions about any future grouping. I must say I have a personal interest in the success of mixed-ability maths teaching, having spent most of my secondary maths career teaching in a school where the original head - a maths teacher - expected mixed-ability teaching to take place at least up to the end of Year 9. I found it personally irritating to have been Ofsted inspected many years ago and told that the Year 9 brighter students in my mixed-ability class were not being stretched – then to find after the inspection that the percentage of students in that class achieving higher key stage 3 Sats levels (ie above level 5) was way above the national average in a school with a below-average intake. Among the distinct advantages of mixed-ability maths teaching in secondary school is being aware of the need for extension material. I say that because of stories I have been hearing of the very brightest students not being extended in top set Year 7 groups. The assumption in setted groups is that one level suits all – but in a top set it is possible to find just one or two students who are already aware of the subject material you are teaching. One classic example I met was of a student in Year 6 who had older siblings in Year 8 and Year 10. When, at one point, I asked him what he had been doing recently – expecting details of his class work – he took me instead right the way through a piece of GCSE coursework on Pythagoras, which I had used myself in previous years as a secondary teacher. As to the accuracy of Sats test results as a reflection of future performance, again being a volunteer in a primary school has shown me some surprising outcomes. Working with Year 6 students after Sats, I have often moved on to algebra rather than arithmetic and been surprised by which students have performed best when answering algebraic rather than arithmetic questions. My logic about this has been that the type of student who achieves best in the Sats is one who has perhaps, for example, practised his/her arithmetic methods and not been bored by doing that. I put it that way because of the sixth form A level student I taught who prompted a discussion by pointing out that she was a bit bored with maths until starting algebra at secondary school. The Year 6 students who have produced the best work post-Sats in my Year 6 groups have not necessarily been the ones who actually scored highest in the maths Sats. The final question is about why Sats is important to politicians? I see it as part of what I call “The Blame Game”. Rather than be blamed themselves if a system is not working, politicians want schools and their students to take tests – then the schools and their students who perform badly can be blamed for failure rather than the government, even if the tests themselves have negative consequences for our education system. I have to say that last year – 2016 – was an absolute classic for the "Blame Game". 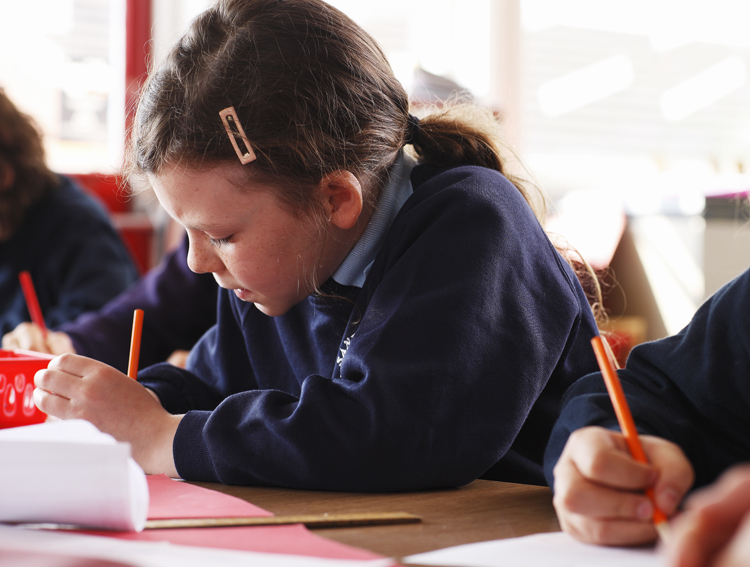 The government wants the percentage of students reaching the Sats target to increase each year – but by last year those reaching the target went beyond 80 per cent. The solution? Well, you could change the curriculum to make the Sats tests much harder. That would give you one year of a much reduced percentage reaching the target – but then each year after that it could go up again year on year. Of course, you would need to choose your “bad” year not to be too close to an election … like perhaps 2016! Naturally, by doing this you would be accepting one year of students, parents and teachers feeling bad about the results …. But that’s politics! A final point to raise is about what the effects of Sats have been? We now have schools distinctly feeling the need to teach to the test, which seems to have resulted in a primary curriculum which has been limited in non-Sats subjects - but, at the same time, limited in Sats subjects to too much boring and repetitious work. Please understand that I am no way blaming primary staff for this – it is another significant part of the Blame Game! If teachers are criticised for limiting the curriculum, the government will claim it is not something they have forced on staff!